Going to school and holding down jobs at both Vic’s Espresso and Assorted Goods and Candy, Hannalee is a ray of Downtown sunshine. Where did the name come from you ask? From Puff. Yes, that Puff, the dragon that frolicked in the autumn mist. 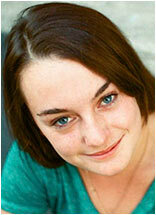 Meet Cora McClure. The lovely Golden recently celebrated her first birthday with drinks and dinner at Empire. Well, not exactly, but she does occasionally get Empire leftovers—lucky dog—followed by a good drink from her bowl. Cora likes hanging out at owner Justin’s Downtown office and trips to Community Park to play with her pals. Make sure to say hi! The Merchants of Downtown Louisville are making it easy for you to do your holiday shopping this season with special discounts on merchandise. 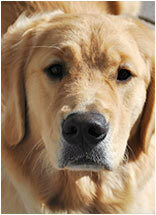 Just look for the postcard above in the Hometown Weekly, Daily Camera, Yellow Scene and Broomfield Enterprise. Or pick up a postcard at one of the local shops. Happy Shopping!! Happy Holidays from the Downtown Business community! Parade of Lights is December 6 and lots of holiday fun is in store for everyone, from Winter Skate to Holiday Markets to Carriage Rides. And did you know this year our retailers are offering a special discount program for all Louisville shoppers. Check out the information in our Tidbits column. Hey, its really Saturday, but it’s the same concept. Just because the Parade of Lights is Friday, doesn’t mean you can’t shop too. Now you have two days to check out the galleries and shops to celebrate the Holiday season. Look for the fun up and down Main and Front streets all weekend long! Join Yoga Junction owners, Carey & Melissa as well as musician Steph Schwartz for a free live music and yoga class! Afterward, enjoy beverages, snacks and one-night-only specials. RSVP early to reserve your space! During First Friday Art Walk, make sure and meet the founder of Eternal Lite Flameless Candles at Bella Frida. He will have his complete line of flameless religious candles including Our Lady of Guadalupe, Guardian Angel and the Sacred Heart of Jesus. December 12 is Lady of Guadalupe Day at Bella Frida. 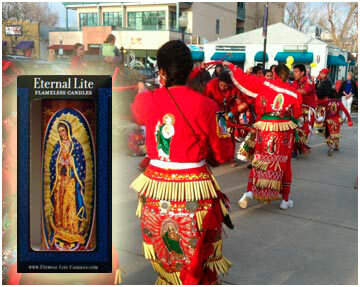 The traditional Mexican dance group, “Matachines Guadalupanos” will perform in front of the store at noon, with beautiful costumes and musicians. Since their inception in 2012, business partners Bryan Pieper and Greg Stingari and the team at Trailhead have provided outstanding service and quality financial guidance to their clients. They hope to continue to provide that service for many years to come, and we are thrilled to have them as part of our Downtown community. Congratulations Trailhead Management on your first year of great success. The amazing dance students of TAU will show off their hard work at this spectacular Holiday Dance Concert. Tickets are $5. Help support a great organization that teaches and encourages our talented kids. Tuesday, December 10 is Colorado Gives Day where Coloradans come together to raise millions of dollars for nonprofits. You can help support The Art Underground or any of your favorite charities by going online and donating anytime in the 24-hour period. 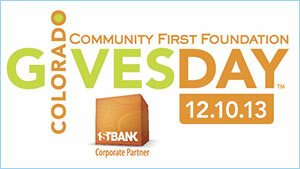 Sponsored by Community First Foundation and FirstBank, last year $15.7 million was distributed to Colorado nonprofits. Go to ColoradoGives.org to make a donation and give where you live! The Library is partnering with Boulder County Housing and Human Services to offer free public presentations that will help you understand the new law, as well as information about how to apply and find out about tax credits and other types of financial assistance for individuals and families. Are you new to researching your family history? Do you have questions about how to begin or where to go next in your research? Could you use some help using library databases to search for family members? Our genealogy guide is available to help. Drop-ins welcome, or make an appointment to reserve a study room and time for help with your specific research needs. Stop by the Library before the Parade of Lights and listen to recorder music by “Tutti.” Enjoy refreshments and holiday cheer! 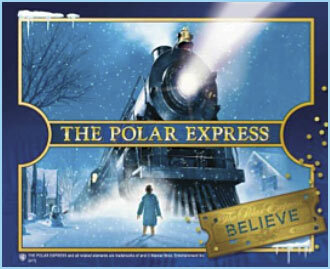 Celebrate the season while reading this holiday classic. Afterwards make a craft and enjoy some hot cocoa and cookies. This program is for families with children ages 3-12. No registration needed. Every town has its history mysteries! Join Museum Coordinator Bridget Bacon for a presentation and discussion about Louisville’s unsolved mysteries. And don’t forget to bring your lunch! The Historical Museum will also hold an Open House before, during and after the Parade of Lights. Visit the Museum anytime at 1001 Main Street. We’d like to welcome all our new or relocated businesses to the Downtown neighborhood. Makes it all the merrier!!!! Looks like this combo move was a good one, according to owners Tom and Vickey. 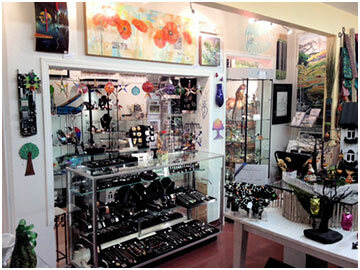 Where else can you find an art-gift gallery inside a premier gift shop! You’ll find unique gifts there at a great value. Don’t forget to stop by and say hi to Cici the gallery dog too. Cooper, of course is a beautiful white lab belonging to owner Julie Williams who says she’s thrilled to be a part of the Louisville community. Her store is jam-packed with adorable, specialty gift items from jewelry and clothes, to accessories and home décor. Julie shares her space with Brad Terrell of Dream Drift Flies, a great selection of products for the fly fisherman in all of us. (But mostly its for guys). Congratulations to Staufer Team Real Estate on their move to their new spacious digs. Drop by and say hi at 932 Main Street.